These pastel unicorn cocktail napkins are almost too pretty to use! 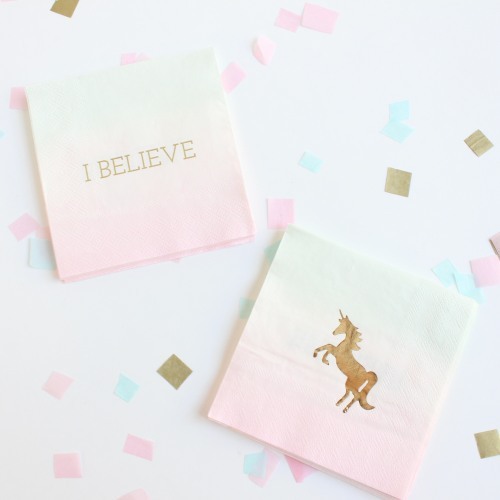 Perfect for an enchanted birthday party, these unicorn napkins feature a pink ombre background with a gold foil unicorn on one side and "I believe" written in gold on the other. Pair up with our unicorn plates, garland, and more for the most magical birthday party ever.